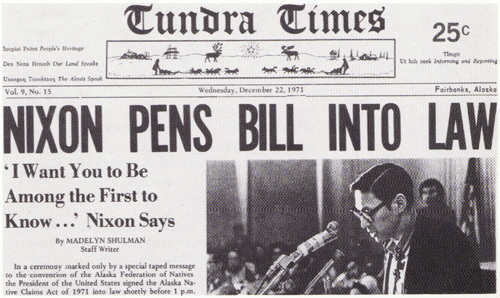 Before 1971, the argument that the United States had not actually purchased Alaska would have fallen on deaf ears. To most everyone, the United States has owned Alaska since the Treaty of Cession was signed on March 30, 1867, when Russia agreed to sell its North American colony for $7.2 million. An established fact, no doubt about it. Except, perhaps, for the descendants of the Alaska Natives who, at the time of the Treaty of Cession, used and occupied land around the immense territory. In a diplomatic memorandum dated October 8, 1867, a Russian official, in reply to a query by U.S. Secretary of State William Seward, provided specifics about the Russian governance of Alaska. In this memorandum, the official made clear that the great majority of Alaska Natives freely used the natural resources and occupied Alaska without contact with or restraint by the Russian government or its agents. Russia claimed the land, houses, buildings, docks, and equipment of their settlements, but as admitted in the memo, did not have much of a footprint. During this 150th anniversary of the Treaty of Cession, Governor Bill Walker and Lt. Governor Byron Mallott proclaimed 2017 a year of “History and Heritage,” and asked Alaskans to “study, teach, reflect upon our past, and apply its lessons to a brighter, more inclusive future.” In that spirit, let us consider how North American land, which had long been occupied by Native Americans, was acquired by the United States. For many Americans steeped in a popular culture rife with images of cowboys and Indians, the West was won by conquest: the Indians lost. Of course, the actual story is much more nuanced than the comic book version. Settlement of unoccupied land that had been emptied by disease or other causes. Armed conflicts between the United States and Native American tribes followed by treaties ratified by Congress that cleared (extinguished) aboriginal title and transferred ownership to the federal government. Native American survivors were forced onto reservations and the reserved lands held in federal trust. The remaining land was made available for settlement. Acts of Congress that extinguished Native American ownership of land and resources, often retroactively and without compensation. Unlike the “lower 48” where farmers and ranchers supplanted Native Americans, there was comparatively little settlement or land use conflicts in Alaska. 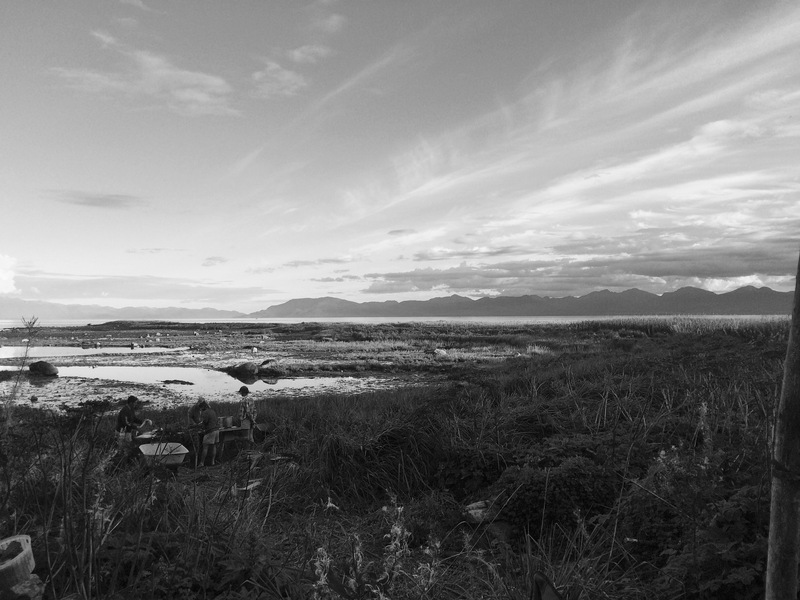 Alaska Natives gradually lost rights to resources, and found they had no recognized right to reclaim what they had lost. Alaska Natives took it upon themselves to contest this state of affairs in court, and over time won citizenship, civil rights, and eventually recognition of their indigenous rights. There were some violent conflicts between U.S. armed forces and Alaska Natives, but none was settled by treaty. The federal government ignored Alaska Native title until the mid-1930s, but made no serious attempt to reconcile ownership of Alaska lands until the 1950s. While the Alaska Statehood Act of 1958 recognized the unsettled indigenous claims, authorities of the new state willfully ignored Native rights, which led to a federal “land freeze” and the Native claims movement. Only when the Alaska Native Claims Settlement Act of 1971 (ANSCA) became law was Alaska Native title to Alaska’s land formally extinguished with compensation that included the transfer of 44 million acres of land and payment of nearly $1 billion. In short, to dispossess Native Americans of their land and rights, Congress had to either ratify treaties when the issues were ripe or pass legislation after the fact. Failing to quiet title left in doubt who owned the land, and for post-statehood Alaska, the stakes were high. The Trans Alaska Pipeline could not be constructed (let alone completed)until Native land use was resolved. The 1867 Treaty of Cession might have conclusively purchased Alaska had it specifically extinguished aboriginal title or had Congress done so by separate legislation, but this was not accomplished until 1971. So, as it turned out, when it was signed, the Treaty of Cession the United States bought the barn but not the farm. Metcalfe, Peter. A Dangerous Idea: The Alaska Native Brotherhood and the Struggle for Indigenous Rights. Fairbanks: University of Alaska Press, 2014. Mitchell, Donald. Take My Land, Take My Life, 262. Fairbanks: University of Alaska Press, 2001. Kostlivstov Memorandum, Alaskan Boundary Tribunal Vol. 1-2, 317. October 8, 1867. Peter Metcalfe is a lifelong Juneau resident and the author of several books including A Dangerous Idea (2014), a history of Alaska Native activism during the Alaska statehood movement.